Hello I’m Mark. I have recently moved to the area to find a lovely countryside environment to start a family. I graduated with a BChD from the Leeds Dental Institute in 2013 and carried out my vocational training in York. I am so proud to be the first dentist to achieve the “Making A Difference Award 2015” from Healthwatch York. 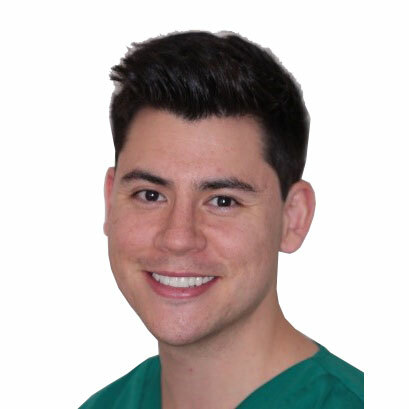 I worked as a general dental practitioner carrying out family dentistry, building a good reputation for the way in which I provide dental care and support for children. I enjoy spending the time to get to know my patients, and exploring their wants & needs. As I matured as a dentist, I began to develop a keen interest in tooth wear and dental aesthetics. I love the technicality of carrying out this type of treatment, but also witnessing the huge impact on the lives of the people I treat. I am currently completing a Masters in Aesthetic and Restorative Dentistry with the University of Manchester. I work alongside the British Dental Association as an Honorary Secretary for the York Division. Outside work I enjoy climbing and badminton. I have recently taken up mountain biking, although based on the very flat and level nature of East Yorkshire, I may have chosen the wrong sport! I grew up in South East Asia, and so have grown to love travelling. Thankfully, my fiancée shares this passion, and we are exploring China later this year seeing the giant panda reserve, the great wall and the terracotta army. Trying to juggle writing a dissertation and learning Mandarin has been tricky! To be given the opportunity to work alongside the wonderful team at Regent Street Dental is an honour. I am very excited to meet all of the patients, begin to build new relationships, and make the transition as smooth as possible.